Māori tech company creates history by taking the runners up spot in the Microsoft Worldwide Partner of the Year awards. A New Zealand Māori tech company has created history by taking the runners up spot in the Microsoft Worldwide Partner of the Year awards, selected as one of four leading providers within the global health space. The Auckland-based software company - owned by Whānau Waipareira - was short-listed in a field of multi-national Microsoft partners vying for the Health award, representing the first time a New Zealand organisation has gained nomination as a finalist in this category. According to Microsoft, the global acknowledgment was in light of the company’s “excellence in innovation” and implementation of customer solutions based on Microsoft technology. 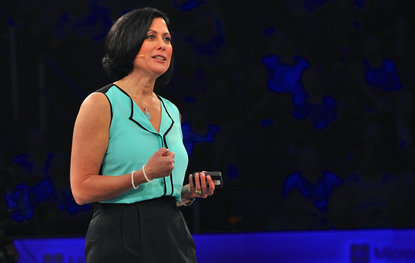 “Whānau Tahi is a prime example of the excellent talent we see in our Microsoft partner community to deliver innovative and transformative solutions to our mutual customers,” says Gavriella Schuster, General Manager of Worldwide Partner Group, Microsoft. With Whānau Tahi invited to an awards ceremony as part of Microsoft WPC - where up to 30,000 partners attend - the news follows the company’s naming as a finalist at the NZ Hi-Tech Awards in May. 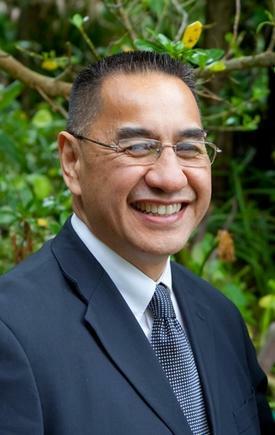 For Whānau Tahi CEO, Stephen Keung, the international acknowledgement supported the vision and aspirations of Waipareira, who have fostered and supported self-determination and advocacy for the West Auckland community for more than 30 years. “Six years ago Waipareira recognised that the delivery of health and social services to whānau was not working, so we developed technology to help improve outcomes,” he says. As a result, Whānau Tahi’s success has been endorsed by indigenous organisations and prestigious research institutions worldwide. “Whānau Tahi has done important work for Indigenous communities,” adds Rebecca Corpuz, Deputy Director, Seattle Indian Health Board. Established in 1970, the Seattle Indian Health Board is a private, non-profit organisation based in Washington, providing community health care and services for thousands of urban American Indian and Alaska Native populations. Closer to home, Auckland Tourism CEO Brett O’Riley believes Whānau Tahi is a leading example of the “world-class innovation” emerging from Auckland’s indigenous Māori economy, and Auckland’s IT sector. “The team at Whanau Tahi has developed an incredibly smart high-tech way to capture the traditional Māori approach to holistic community wellbeing,” he adds. “It is great to see the potential for this software system to improve health, education and social outcomes for indigenous peoples globally being realised. Following the global recognition, Keung says Whānau Tahi is in the process of securing contracts off shore. “We supply our technology and consultancy services to a growing list of organisations in Aotearoa, Australia and Singapore,” he adds. “We have signed Memorandums of Understanding in the USA with organisations similar to Waipareira where indigenous and vulnerable communities face similar challenges, whether they are located in Rotorua, Sydney Australia or Atlanta Georgia. During the global awards, Datacom won the 2016 Microsoft Country Partner of the Year Award for New Zealand, with the leading Kiwi IT services organisation honoured among a global field of top Redmond partners.